4' Dimensions: 48”W x 13 1/2”D x 33.5" Ht. 100 Lbs. 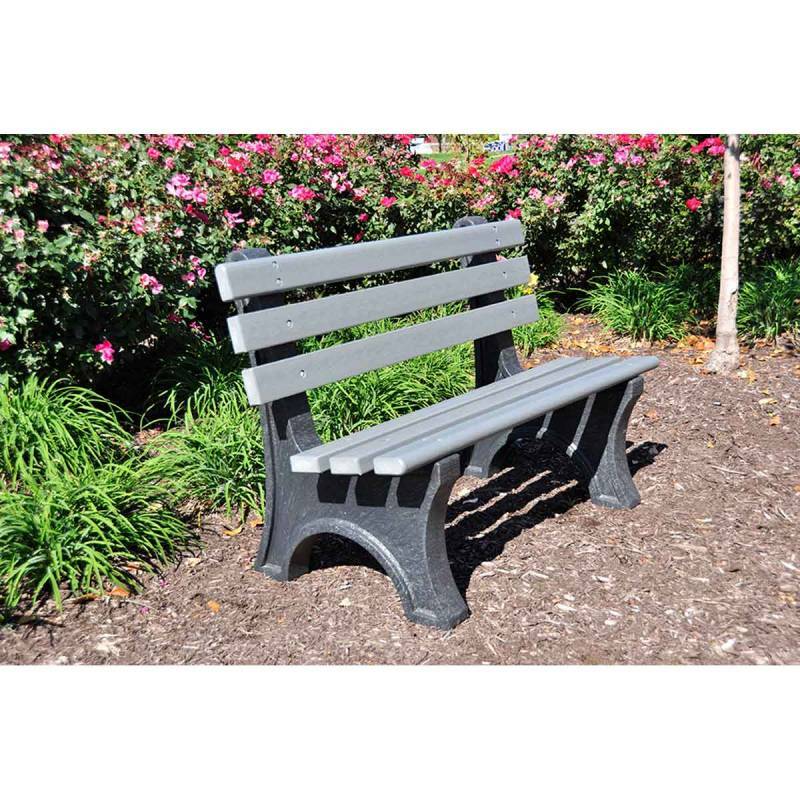 Made with six 2” x 4” recycled plastic slats and black recycled plastic base. All holes are pre-drilled and countersunk for plastic lumber. Available in Cedar, Gray, Green with black base. Inground and surface mounting kits available. 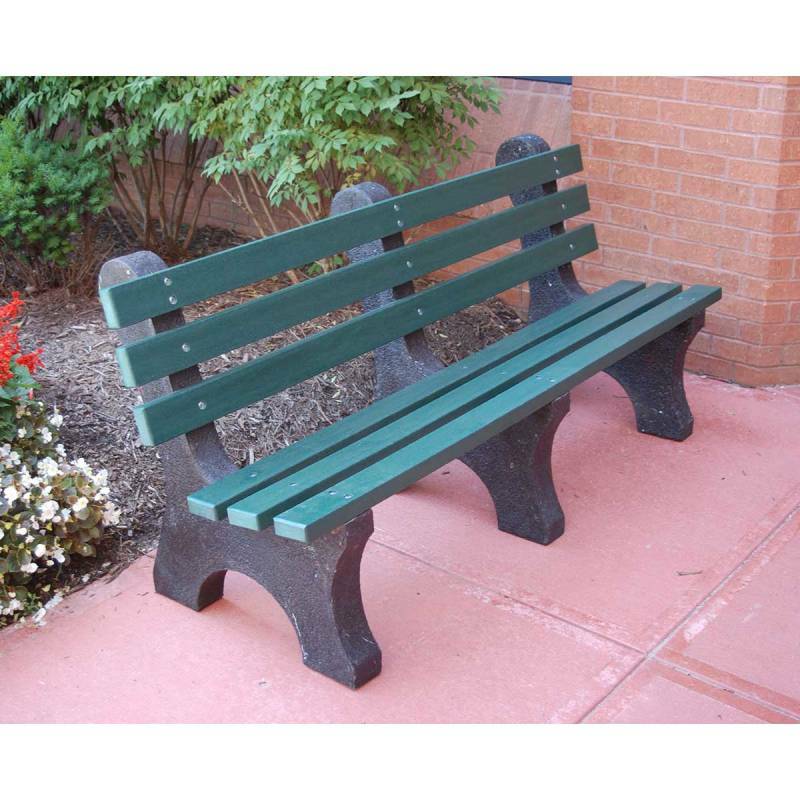 One of life's simple pleasures is sitting on this Jayhawk Plastics Central Park Avenue Recycled Plastic Bench! 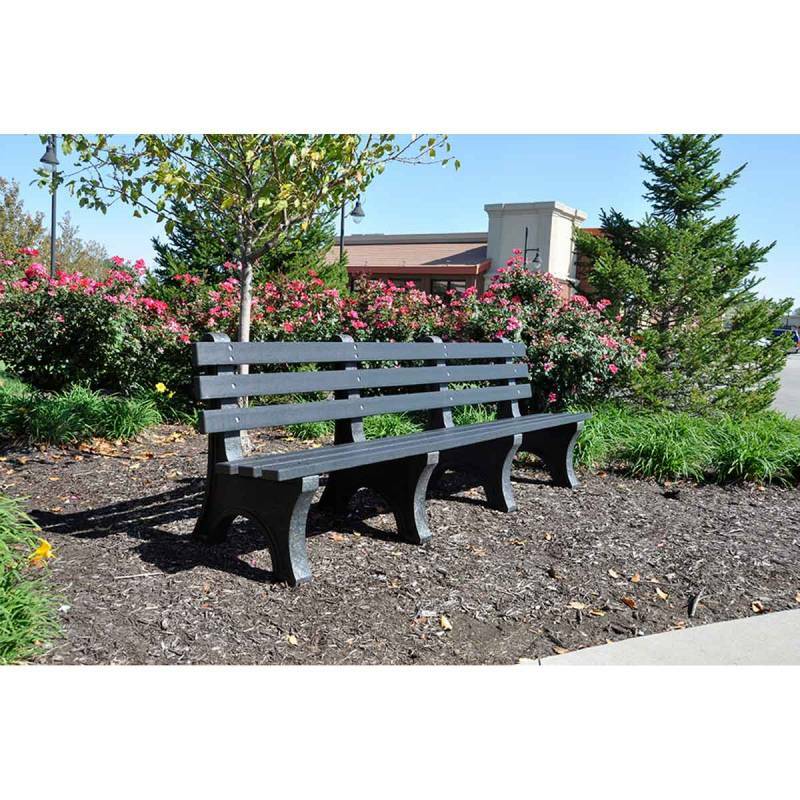 Made with commercial grade high quality recycled materials and is fade resistant. Excellent choice for the environment! Can withstand the elements easily and is maintenance free! Color choices available! Comes with a 5 year commercial warranty! Best of all...Made in the USA! Call or email National Outdoor Furniture today for a quick quote!